who with his wife Lois, started 5 Churches and Christian Schools and raised 5 Boys to serve the Lord! My mother prepared a message for a ladies meeting in Florida but a few days before she was to speak she was killed in an automobile accident! My borther Tom took the outline and typed it up and sent to all his brothers. 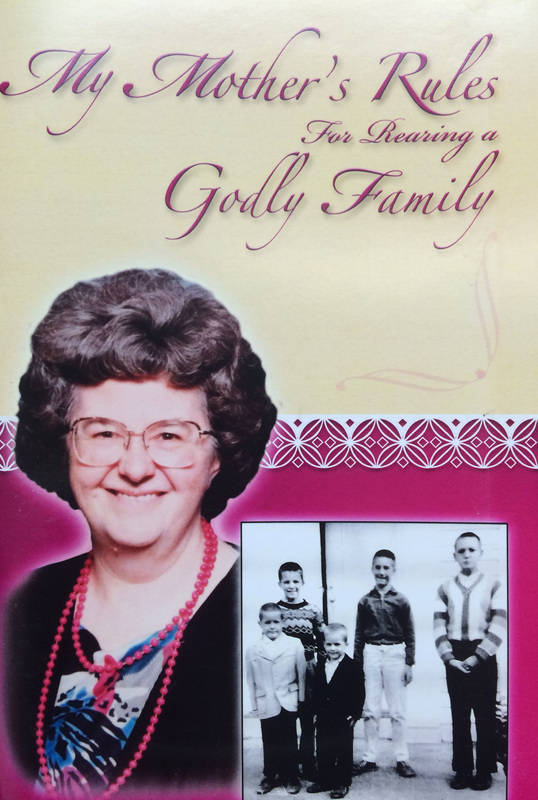 The message entitled, "My Mother's Rules for Raising a Godly Family." 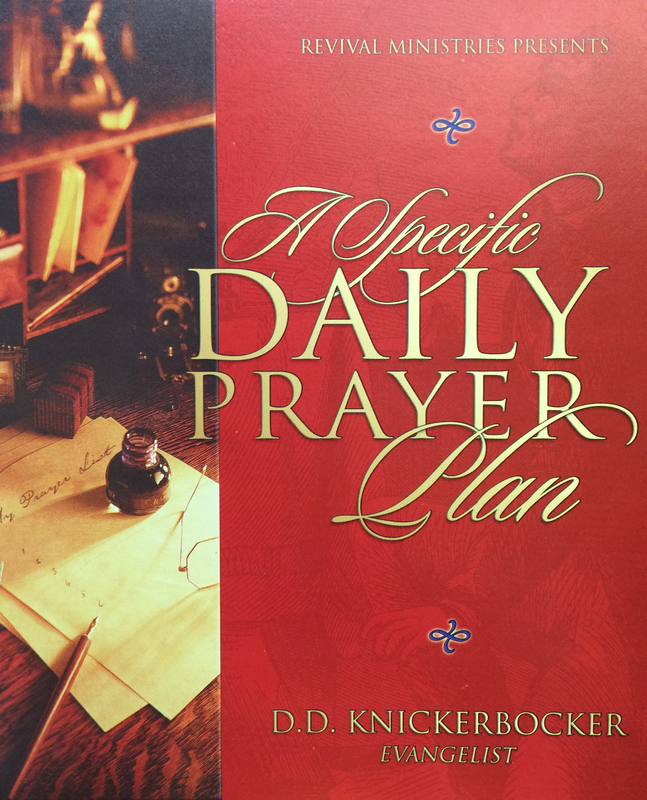 It is important to have a daily prayer plan. It is also vitally important to record the answers to those prayers. This journal will change your life, and help you see the hand of God in a specific way. Please contact me for price on a large order. 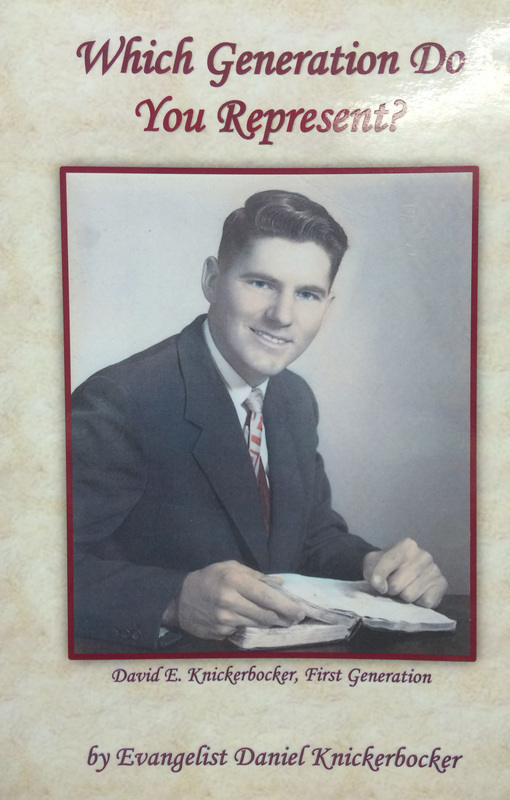 My father started 6 churches and 5 Christian schools. This book is written to remember the legacy of my Dad! The book is entitles "Which Generation do you Represent?" The first generations fights the good fight. The second generation enjoys the spoil. And the third generation sells out to the enemy. We can't let this happen! 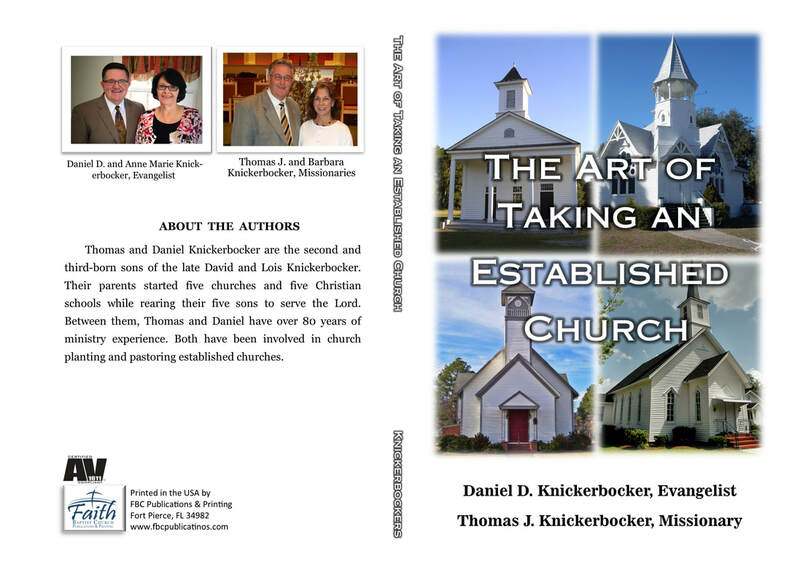 This book is especially helpful to Pastors, College students and Pulpit Committees. 1. When should I consider taking an established church? 2. What is a “Silent Pastor” and how should I deal with them? 3. How and when should I make changes after taking an established church? 4. What are some important Dos and Don’ts in pastoring an established church? 5. How do I deal with difficult people in the church I have just taken? 6. How can I win the hearts of the people in the church? 7. How do I deal with a church split? 8. How should I treat the former pastor? These and many other questions are answered for men God is leading to take an established church.